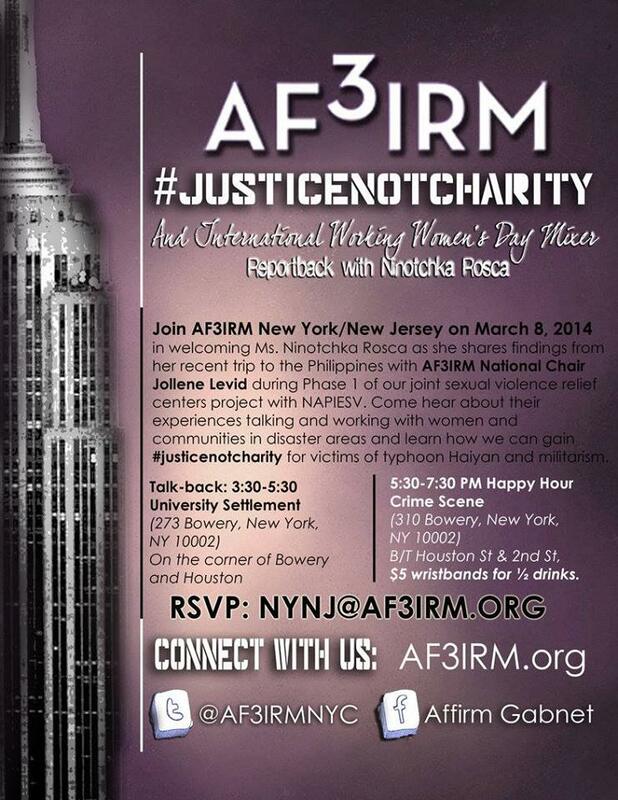 The collective is happy to endorse this upcoming event with AF3IRM in honor of International Women’s Day! 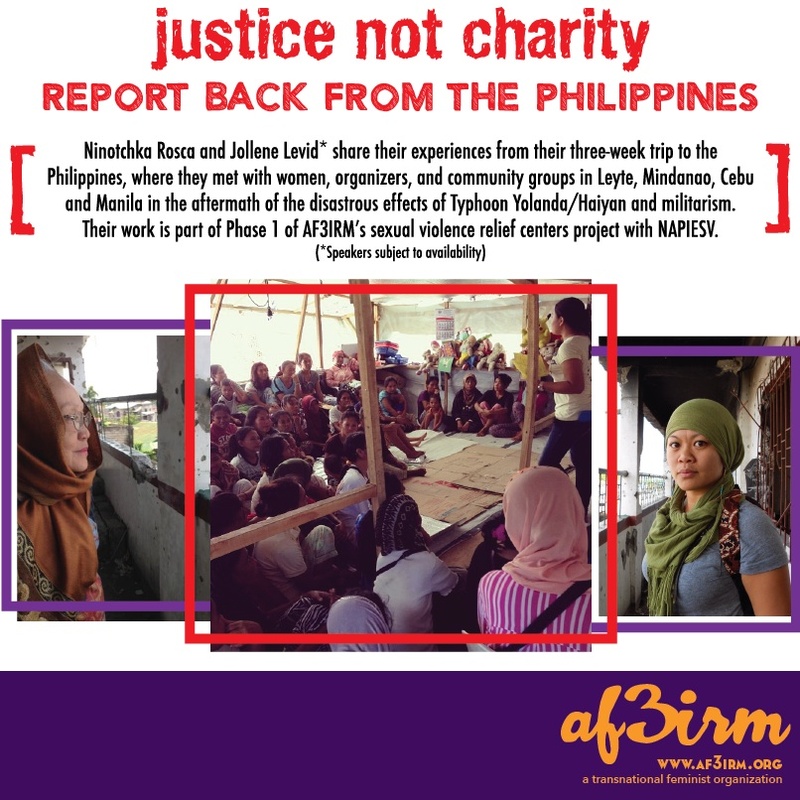 AF3IRM NYC celebrates International Women’s Day with a talk-back featuring member and award-winning author Ninotchka Rosca on her trip with AF3IRM’s National Chairperson Jollene Levid to the Philippines where they met with women, organizers, and community groups in Leyte, Mindanao, Cebu, and Manila in the aftermath of Typhoon Yolanda/Haiyan. B/T Houston St & 2nd St, $5 wristbands for ½ drinks.